Do you know that Kotex was having a contest linked to the series of "Memberku Hawa" ? i guess you would probably have seen it as it was being separated all over your Fb wall post kn?! hahaha..
yup, lucky day for me too. having fun watching the dancing audition, meeting the Hitz DJ aka the tower lady, Natalie (hahhaha...hopefully, you love the nick dear ;) , working together with the sooo famous bloggers Cik Epal, Yuyu Zulaikha and Anis sempoi and plus, knowing such a bubbly ladies from Nuffnang, Sue and Jasmine! #2 Now, check the interviews that i've done with the judges. Me: What is the main criteria that you're looking for? 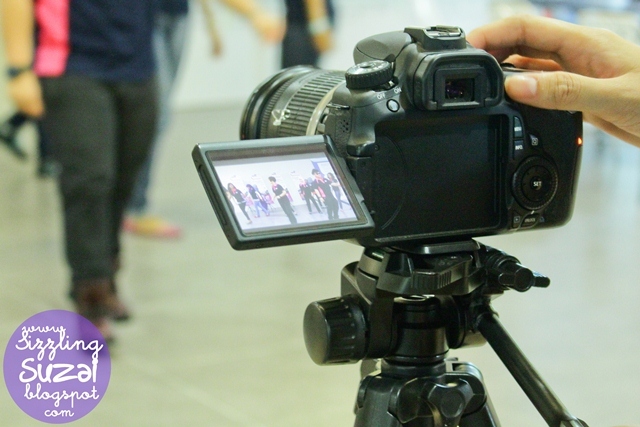 Shahrul (the choreographer): as a choreographer, assuredly i'm looking at the way they're following the steps. how they're being confident with themselves especially when they forgot the steps! yup, just enjoy the moment, be fun and try to be as cool as you can, avoid the worry look on the face..
Latifah (Red Communications): for me, confident is the main aspect whenever they're presenting themselves. as simple as when you are confident everything will look so fun and yet so happening! #3 here the conversations with some of the 'lucky' contestants. Ahakkss..no buyers dears! Me: please introduce yourself a bit? Asma': i'm Asma' and she is Atie. thats explaining the name of the group A2A. Atie: i'm studying in UKM whist Asma' is in UITM Kelantan. Me: then, when you start to practice the routine? Me: Wow, it must be so tiring. hahaha..but will be recover once you won the grand prize right? 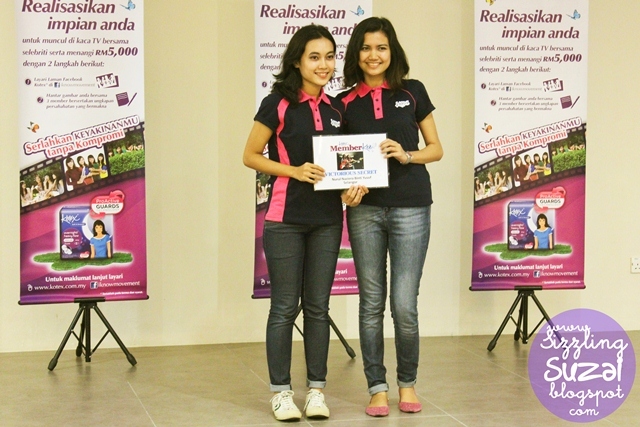 Asma' & Atie: yup, we're really hoping that we gonna win! Me: Oh, how did you became friend since you're both studying in a different uni? Atie: actually, we were in the same MRSM. so, we've known each other since in the form 1. Me: oh, no wonder. :) so, tell me what is your favourite colour? Atie: we both love the same colours; whether its Green or pink! Me: exactly the same?? *both are agreeing* btw, you look like a twin. Asma': yup, everybody is saying that and even the pakcik taxi just now also commenting on us! 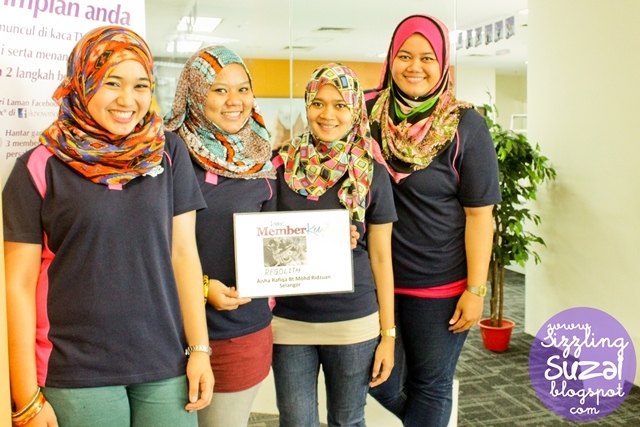 Asma' & Atie: sure tq and welcome. Me: firstly, may i know what do you mean by the group's name, starlight? Fatin: sure, its actually means we assuming ourselves as the stars who shine the starlight which is confident! Me: Wow, impressive. i'm sure the judges will score A for it. so, where you guys are coming from? Shamim: i'm from KL and Fatin is from Penang. we're actually studying in the same UITM Kelantan. Me: so you've known each other since...? Shamim: since when we did our diploma as we are classmate. so, we always together! Me: oic. btw, i've seen you guys had input an extra pose just now and the judges were even amazed by your great 'balancing'. hahaha..so, are you girls are ballet dancers or what?? 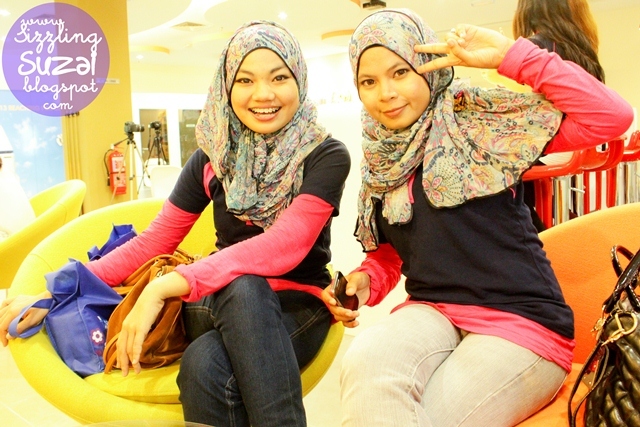 Fatin: hahaha..no, we were actually a cheerleader during the high school time. Me: Oh okay. so, i guess you don't face any difficulty for this routine right? Shamim: yup and plus, we both love dancing so much. Me: definitely, now tell me the similarity between both of you? 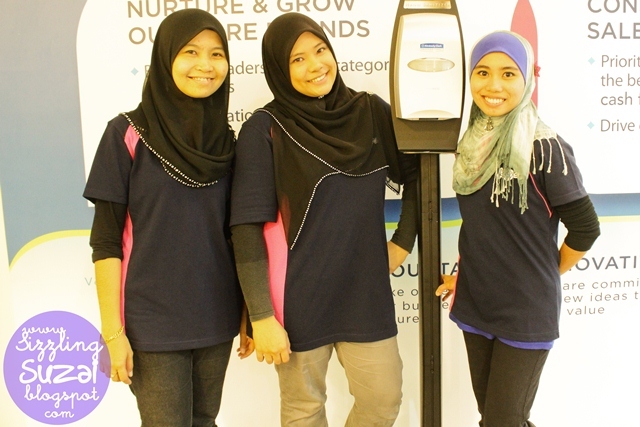 Fatin: we are camera freak, we love dancing and we enjoy going to the gym so much. Me: Oh gosh, i should put you guys as my motivation. uhuhh..the fatty me! haha..so, could you please give me the BEST balancing pose ever? 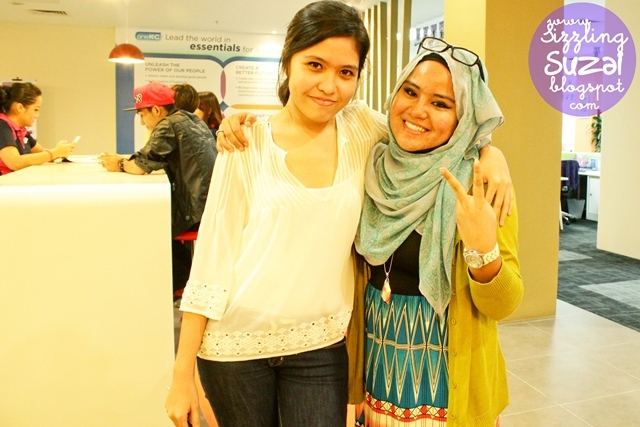 Fatin & Shamim: sure, no prob! Me: haha..ok thanks and good luck too! Me: ok, three of you. 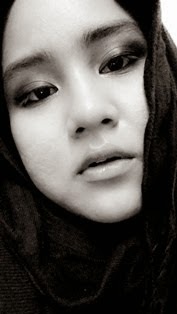 introduce yourself please? 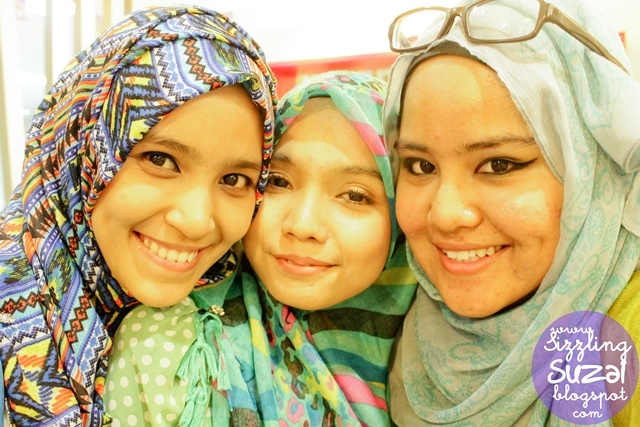 Nor: starting from left, she is Fatna, i'm Nor and she is Diana. Me: you guys are marriage right? Fatna: yup, we are marriage and have 2 to 3 kids. Me: Wow. Hot mommies! so, how did you manage the time to prepare for this contest? Diana: We're just practicing on last night. both of me and Fatna are working. so, after working hour, we're travel all the way to Nor's house in Bangi to gather. Fatna: of course they were crawling all over the place but still manageable as our husbands were taking care of them. Me: ya right, the hubbies! they were even there during the practice? what is their respond when knowing that you guys are being selected for the audition? Nor: they are so excited. they were seating on the coach while telling the kids not to disturb us and even being the commentor and supporter for us. they said, do not forget to smile! Me: hahahhahha...Wowww seriously, they are very supportive!! Diana: they are actually good friend too. we've known each other because of them. Me: ohh, so that is how you guys created the friendship. so, how do you guys spend the time together? Nor: we always go for a holiday together. yup, the three families of us! Fatna, Nor & Diana: thank you. Me: welcome, best of luck and thanks for your time as well. Disclaimer: this is a sponsored post. 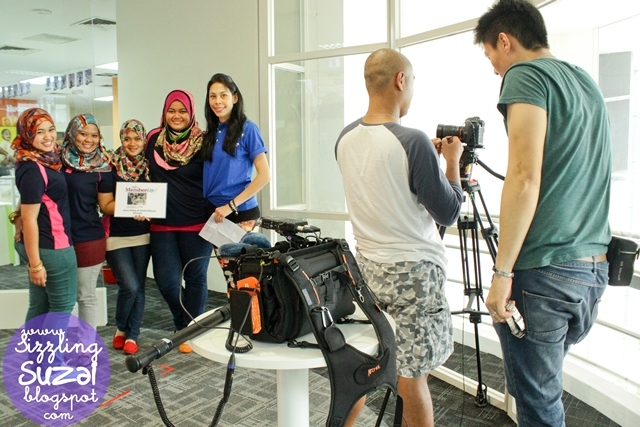 woohoo..akak hot dgn blogger hot2..
tahniah kepada starlight for grand prize..